The TSA is on a hiring blitz. 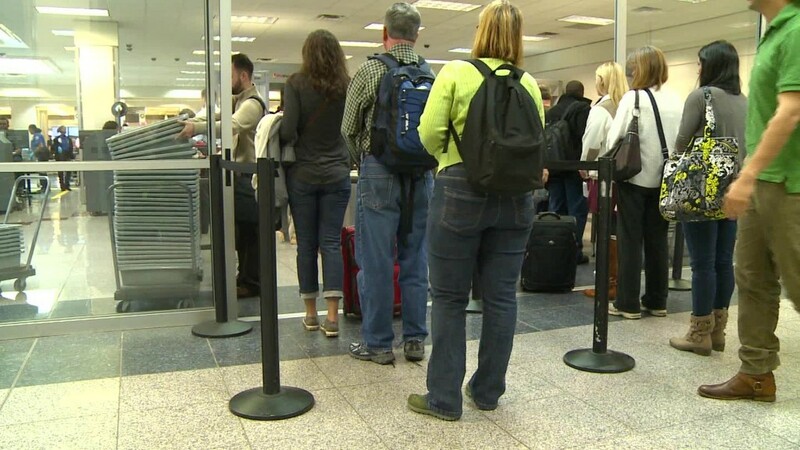 The agency announced plans earlier this month to hire 768 full-time screeners and have them in airports by mid-June to help combat long security lines. Airports across the country are experiencing a high volume of passengers that's causing major backups at security checkpoints. That's because the number of TSA officers has decreased, as the number of fliers has increased. In 2013, the TSA had roughly 47,000 screeners to clear 643 million passengers through security. This year, it has 42,525 officers to screen an estimated 740 million. So in those three years, the number of officers dropped 10%, while the number of fliers increased by 15%. Related: Could this solve TSA's security line problems? So now the agency, which is part of the Department of Homeland Security, is spending around $8 million to accelerate the hiring of more officers. It's also spending approximately $26 million to increase part-time and overtime hours. The TSA has seen a boost in applications for the nearly 800 openings, which can be found on the government's job website USAJobs.gov. The position of a transportation security officer includes duties like operating screening technology, performing searches on people and bags and surveilling terminal entrances and exits. One difficult part of the job involves interacting with a sometimes hostile public. The job listings say that potential hires should be able to stay focused and aware in a "stressful environment" that can include "disruptive and angry passengers." Candidates will have to fill out an application, undergo an interview process and pass a background check. The salary ranges from $25,000 to $30,000 a year, according to the TSA. Applicants must be U.S. citizens and have a high school diploma or equivalent, or have at least one year of applicable security work experience. New hires will undergo a three-week training program and have to pass a test before they are allowed to start screening at airports. Related: Who's to blame for the long airport security lines? Screeners' jobs are a vital part of keeping people safe, and the responsibility can weigh heavily on officers. "If we make a mistake because we are worried about that long line, I wouldn't want to be the one to explain to a family member that I made that mistake," said Hydrick Thomas, a TSA worker at New York's JFK airport and TSA Council president for the American Federation of Government Employees. And the job is not without risks. In 2013, a TSA officer was killed at Los Angeles International Airport in 2013 while on duty. It was the first officer killed in the line of duty in the agency's 12-year history. TSA workers often find themselves on the receiving end of passenger frustration. In fact, the job listing references having to stay focused during crowd distractions and "disruptive and angry passengers." And for people who feel like they've seen TSA workers standing around doing nothing -- they're actually on the job, according to Thomas. "They are there for security reasons," explained Thomas, who has been with the agency for 14 years. "They are behavioral detection officers and are detecting threats before they even get [to the front of the line]. They aren't just standing around. We have a serious job."